Beginning today … Sept. 26th — the 40 Days for Life prayer vigil in Rockland is taking place on Perlman Drive in Spring Valley, outside the mall where the Planned Parenthood office is located. Supporters are invited to come & to pray each day beginning Sept. 26th through Nov. 4th, 2018. The 40 Days for Life is an international, interfaith movement whose goal is to end abortion through prayer, fasting, and community outreach. Volunteers come to a designated prayer site to pray for the victims of abortion, those harmed by it, for those involved in the abortion industry, and for all who strive to defend life. The prayer goes on 24/7 for 40 days. 40 Days for Life has been done in 741 cities and 47 countries. In Rockland, the prayer site is on Perlman Drive in Spring Valley from 9 am to 5 pm every day, and then prayer continues through the night at the Eucharistic Adoration Chapel at St. Gregory Barbarigo Church in Garnerville. The vigil will go on for 40 Days and end on Nov. 4th. Volunteers are always needed. If you can commit to one hour a week, please call 845-492-6709 or email rachelminister1@aol.com. And, as they say, “walk-ins” are always welcome. If you have an hour to spare, come on down. You may pray in any manner you choose. Be assured this is a peaceful event, held on public property. … not everyone is able to stand vigil … but hopefully, you can be a prayer warrior engaged in what is truly spiritual “prayerful … hand-to-hand combat” in this fight to defend life. Here’s the link to the video. Click here. Jan. 22 — Verizon FIOS News — Lower Hudson Valley sent out a crew to cover the gathering of prolife supporters in Spring Valley, who gathered outside Planned Parenthood on Perlman Drive to pray. It was on Jan. 22, the true anniversary of the Supreme Court’s decision in 1973 to legalize abortion in America. (The March for Life this year was on Friday, Jan. 19). Good for FIOS! Unlike the Journal News/USA Today who didn’t print a word about any March for Life events, but had plenty to say about the Women’s March that took place the next day. And, as usual, the three major TV networks combined — CBS, ABC, and NBC– had less than three minutes of coverage of the March. CBS had nothing at all. Well, it’s nice to know that balanced journalism is still alive somewhere around here — at local FIOS news. (update 1/28/18) The Journal News (Lo-Hud) has since published an article with extensive remarks from five marchers, March for Life 2018: 5 People Share Their Vision of the Future. Print story appeared 1/27/18; online 1/26/18. Pastor of St. Gregory Barbarigo Church Fr. Joseph LaMorte speaks to the eighth graders of Rockland’s Catholic elementary schools at the Rose Mass for Life. Jan 19 — The Rockland Region of Catholic Schools of the Archdiocese of New York hosted the annual eighth-grade Rose Mass for Life on Friday, Jan. 19, at St. Gregory Barbarigo Church in Garnerville. It was attended by students from Sacred Heart School in Suffern, St. Anthony’s School in Nanuet, St. Margaret of Antioch School in Pearl River, St. Paul School in Valley Cottage, and St. Gregory’s School. The mass is held each year to coincide with the March for Life in Washington, D.C. The sacredness God’s gift of life is symbolized by the long-stemmed red roses, which the students bring to decorate the sanctuary. The homily was delivered by Rev. Joseph P. Lamorte, pastor of St. Gregory’s. He told the eighth graders that they were the “prolife generation,” and he was full of hope that when they were adults, their efforts to overturn the legalization of abortion would be their great gift to society. Fr. Lamorte concelebrated the mass with pastors Rev. Matthew Furey (Sacred Heart Church), Rev. Joseph Deponai (St. Anthony’s Church), Rev. Eric Raaser (St. Margaret’s Church) asst. pastor Roman Palecko (St. Paul and St. Ann Parish), and pastor Rev. William Cosgrove (St. Augustine’s Church in New City). Music was provided by the Barbarigo Student Chorus, led by director David Christian Azarow. Attending the mass were several adult prolife supporters from around the county who were unable to attend the March for Life in Washington. Rockland Right to Life Co-Founders Jeanmarie Grahn and Margaret Fitton at the 2017 Vigil for Life. July 4 — Independence Day 2017 was marked by the annual Vigil for Life at the Marian Shrine in West Haverstraw. The morning included the Exposition of the Blessed Sacrament, the recitation of the Rosary and the Holy Sacrifice of the Mass. Mass was celebrated by Fr. Nicholas Callahan, assisted by Deacon Bob Pang of St. John’s in Piermont. The vigil was co-sponsored by the Helpers of God’s Precious Infants and the Rockland County Catholic Coalition. Fr. Nicholas Callahan and Eileen Peterson. Prolifers at the White Plains Defund Planned Parenthood rally on Rt. 119. In Spring Valley and White Plains yesterday prolifers gathered at Planned Parenthood offices to be part of the nationwide “Defund Planned Parenthood” rally. There were 200 such rallies in cities and towns across America. In Rockland 22 people came to the prayer site on Perlman Drive to pray for the closure of PP in the Pascack Plaza mall and elsewhere. Fifty-two attended the rally in White Plains. The Planned Parenthood Federation of America receives $353.5 million from taxpayers. 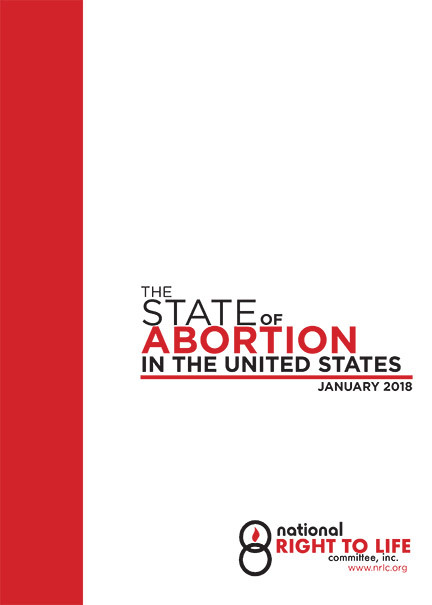 Planned Parenthood is the largest provider of abortions in America. According to the #ProtestPP Coalition, this is more than 300,000 abortions a year, 30% of the total. GET involved with #ProtestPP at the link above for updates on the congressional defunding effort and urgent calls to action. Sr. Bethany Madonna of the Sisters of Life speaks to the students at the conclusion of the ‘Rose Mass’ at Sacred Heart Church. The eighth graders of the Regional Catholic Schools of Rockland County celebrated their annual ‘Rose Mass’ to give thanks to God for the gift of human life. The mass took place at Sacred Heart Church in Suffern on Jan. 27, the day of the March for Life in Washington D.C.
On the anniversary of the Roe v. Wade Supreme Court decision legalizing abortion, please come this Sunday at 11 am as we Remember and Pray for all those who have been wounded by abortion as America recognizes 44 years of legalized slaughter of the innocent. Perlman Drive, Spring Valley on public land. Click on image to open.